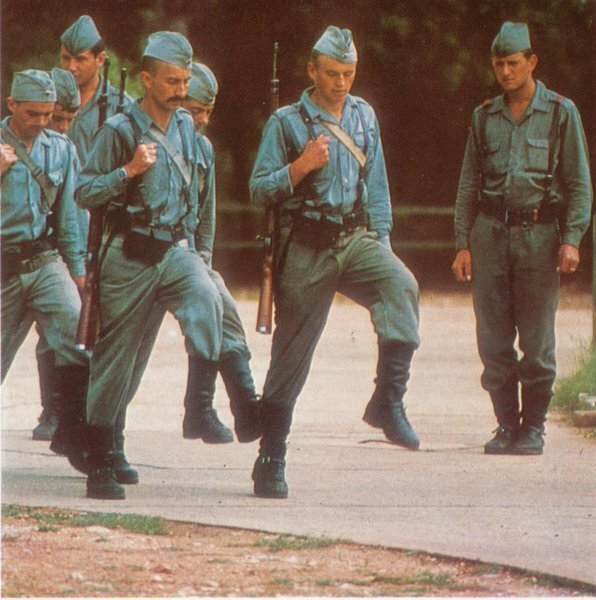 Its roots JNA pulling out of the National Liberation Struggle and Yugoslav partisan (POJ). 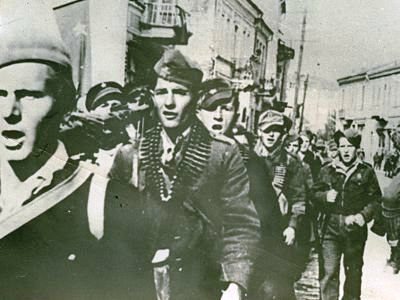 Soon form a volunteer army of Yugoslavia, which soon became the People's Liberation Army of Yugoslavia (NLA), and on 1 March 1945, the NLA has renamed the Yugoslav Army. To celebrate the tenth anniversary of the development of the army on 22 December 1951, the Yugoslav Army was renamed the Yugoslav People's Army. 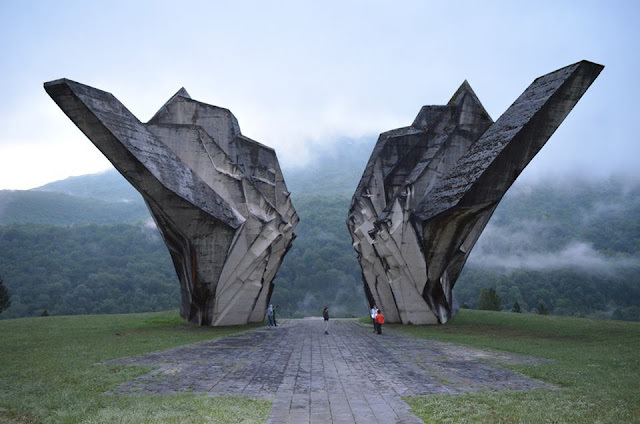 Until the creation of the Territorial Defence of Yugoslavia occurred in 1969. All citizens who were of military age were required to serve his military service. Women could only be asked to perform some auxiliary services in the JNA. 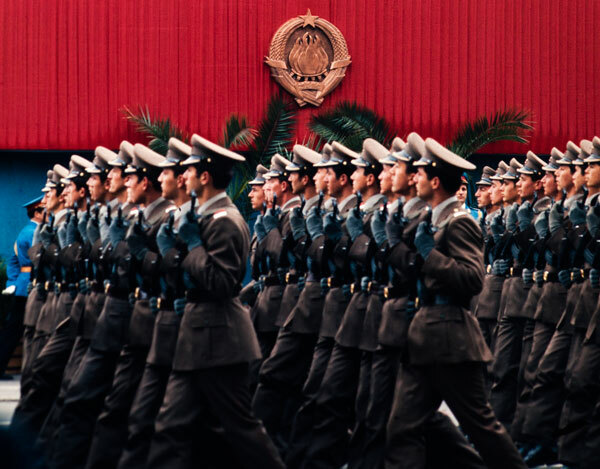 Recruits were instructed to enter military service when they reach the age of 19, and the same could delay until they reach 27 years of age due to studies or other studies. JNA "for purposes of laboratory research" at its disposal and a certain amount of chemical weapons, while even knows for sure how many there are grounds in the stories that the Vinca Nuclear Institute near Belgrade in the late eighties supposed to move is very complicated and time-consuming project of the first Yugoslav nuclear bombs. The strength of the JNA perhaps best illustrated by the Object 505, known as the underground airport Željava (Klek) near Bihac. The construction and equipping of three underground galleries (individual lengths of 400, 500 and 350 meters) in which to accommodate 58 aircraft, and a whole range of ancillary facilities - workshops, warehouses, living quarters, command centers and the like, in the bowels of the mountain Pljesevica, 1956 . until 1968, costing over 4 billion of the then US dollars. Something like that does not exist anywhere else in Europe. 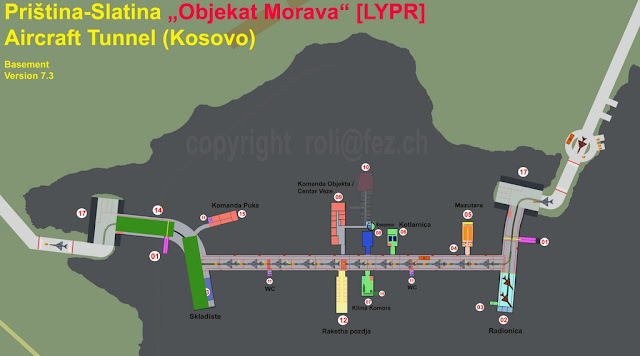 Besides this complex, in Bosnia and Herzegovina are also built underground complexes and near Konjic and Han Pijesak. 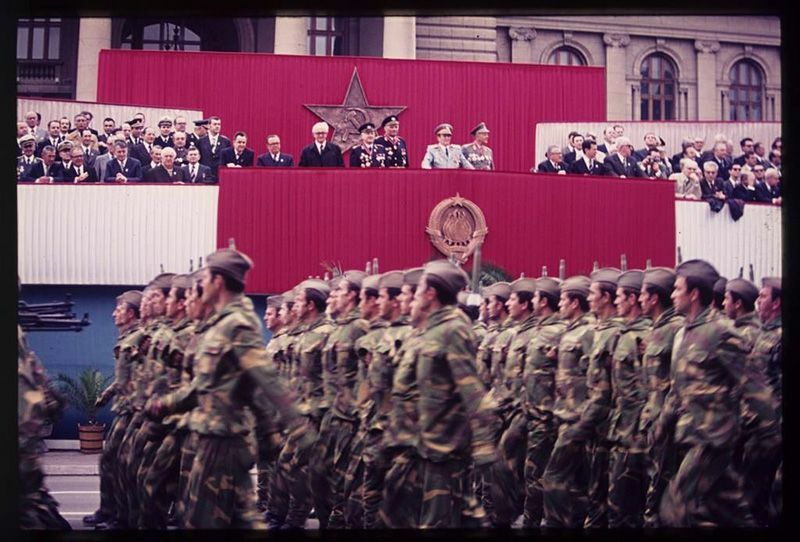 Although many large allocations for the armed forces is considered one of the major causes of the collapse of Yugoslavia, it should be noted that the construction of the army also builds an economic and industrial base of the country. 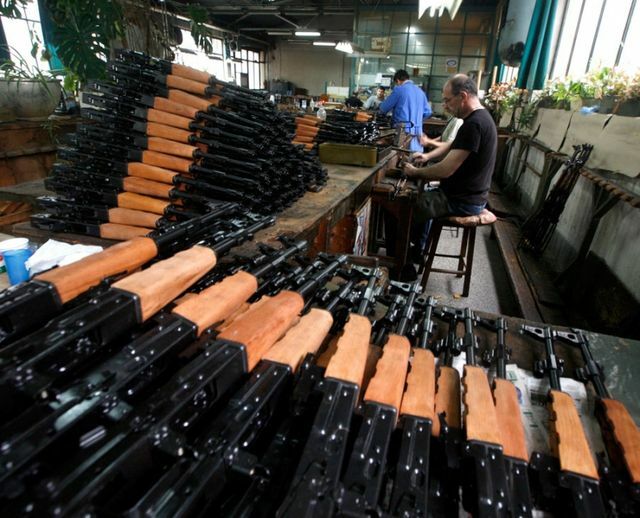 Especially in BiH was a large number of factories of military industry which employed large numbers of people. 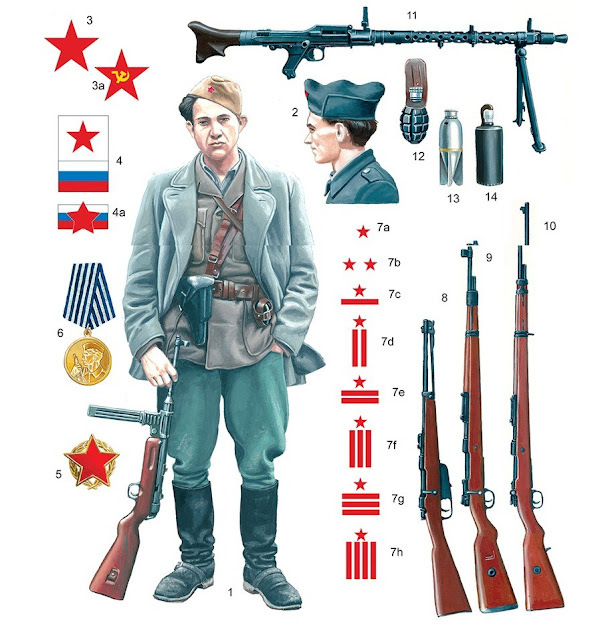 The JNA was used Serbo-Croatian language (dialect for commands) and Latin so that all citizens of Yugoslavia over 18 years old are capable of military service served in that language. JNA has paid great attention to propaganda. Thus, the recording of the famous film "The Battle of Neretva" director by Veljko Bulajic available for recording had over six thousand officers and soldiers, 75 tanks and armored vehicles, 22 aircraft, 5,000 rifles, 380 machine guns, 2,000 artillery shells and warheads 110 aircraft concrete bombs. Total during the recording made about 12,000 explosions with spent 10,000 pounds of explosives. 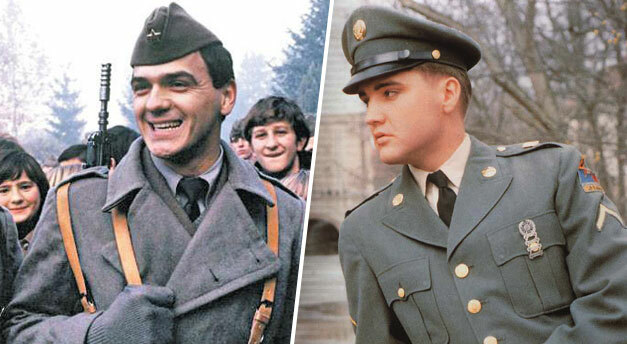 and the JNA made a similar move with uniformed young and extremely popular singer Zdravko Colic. JNA forces were organized into four military regions. The regions are further divided into districts, which were responsible for administrative tasks, such as recruitment, and creating and maintaining military installations. The regions were: Belgrade, Zagreb, Skopje and naval power Split. Motorlu kurye hizmeti veren şirketimiz sayesinde seri bir kurye gönderi yapmak istediğiniz anda trafiğe takılmadan zaman kaybetmeden gönderiler ucuz hızlı ve seri bir şekilde gitmesi gereken il ve ilçelere emin bir şekilde ulaştırılır. Kurye firmamız 2014 yılından beridir hızlı güvenilir taşımacılık da yaptığı işlerden taviz vermeden kendinden emin bir şekilde ilerlemeye devam etmektedir. Seri motorlu kurye bir kişi olarak başladığı motorlu kurye sektöründe ilerleyen zaman için de Marmara bölgesinde hizmet ağını genişleterek hem şehir içi hem de şehirler arası kurye hizmet sektöründe büyümeye devam etmektedir.